Yes, I'm with you, Jaime! I got some Soundcore headphones at a huge discount (thanks for the coupon code, Anker! ), a 4-port charger (with Power IQ, mmmm! ), and a two-pack of USB-C to USB-A. What did you get? Man, it was so difficult to find something practical to purchase (I have too many #Anker etc. products already lol) but since I want to add Bluetooth to my 09 Fit Sport I decided to grab that guy, I have a Viva already, so it will work well with that, since Apple decided that NO ONE uses their aux port on their phones anymore, idiots, anyway... and I need a new nice pair of BT earbuds, so I decided to try these! Whether I "win" this for free or not, just getting these is a win for me! Since my oldest son loves the spirit X, my mother in law decided to get my younger son a pair of headphones. I provided her with an Anker brand that was sold at Walmart. I think it was the Anker soundbud curved. Well for the most part Anker is being supported and I will say grats to all the winners for this contest. FLARE is really great, I like mine. This is such a wonderful gesture its so great to see you making so many peoples holiday a little more special! I am new here but really am glad i listened to my friend Shannon Flaherty and joined this site. Wonderful products lovd reading helpful reviews suggestions people have regarding what items to buy or what to do to help fix or boost your item experience, discounts, fun contets and giveaways! 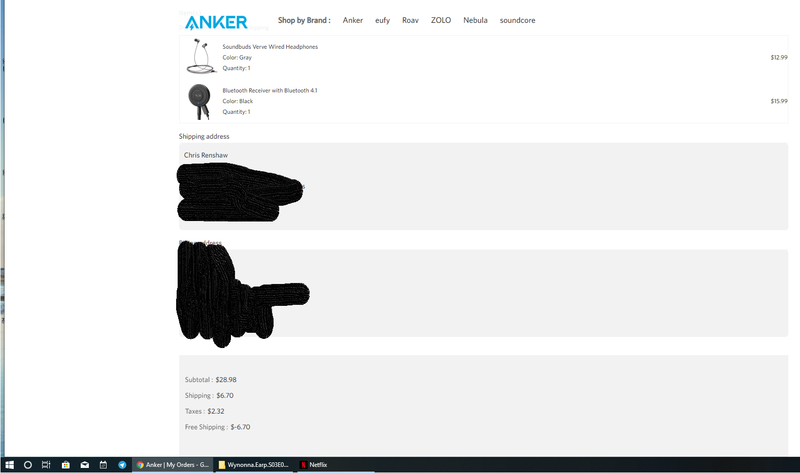 I really wish this year would have allowed me to make a purchase of anker items (well a larger order i did purchase a gift for myself the flare speaker soo excited!! And a second one that i wont be getting into detail incase its seen lol) but if funds would have allowed me to make a purchase of anker items to enter this i would have and gave it all to youmy friend-Shannon and not being mushy def not lol but if anyone deserves it its you! You are a wonderful friend and person...and all you did to make sure those babies had something under the tree this year! 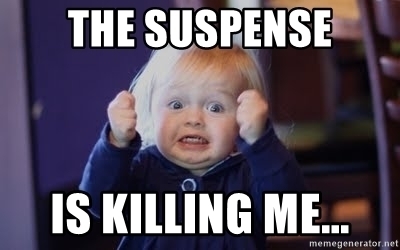 And not going to let our her business in detail but she is a mom of 6 9yrs old 8 yrs old 6 yrs old 5 yrs old 3 yrs old and 1 yrs old and i know my post has nothing to do with this giveaway really because i dont have an order or anything to enter but wanted my friend to know how much she means to me and i know she loves anker and so i want her to know if i could and one day if i ever win big on a scratch off lol i will make sure to ordr her whatever she wants from anker cause she truly loves all the products brags to all of us and tell us to join this page and buy your products! Again @AnkerOfficial you are so wonderful for doing this and hope you and your family (&All of you members here) have a wonderful and blessed Christmas! Your the best and so sweet I love you my friend! Hope you had a wonderful Christmas! Winners from the community will be announced on January 3rd, 2018. Was a cracking prize giveaway. @AnkerOfficial never said that, and I'm sure the announcement will come tonight. The Community staff has clearly been very busy lately.